Tuesday and Tommy’s real wedding in the Bahamas is featured on our blog today. This fun loving Texas couple wanted a low-key, laid back tropical vibe for the wedding. Grand Bahama Island perfectly fit the bill. A family friendly Island, Grand Bahama boasts a mix of relaxation and soft adventure. Just 35 minutes by air off the coast of South Florida, the island is the fourth largest in the Bahamas. Forty close family members and friends joined Tuesday and Tommy for their weekend celebration at Lighthouse Pointe, Grand Lucayan Beach, and Golf Resort, Grand Bahama Island. Daytime activities included rounds of golf and deep-sea fishing with big catches. The festivities kicked off with a welcome dinner at the Garden of the Groves Cafe. Little Joe entertained the group during dinner. 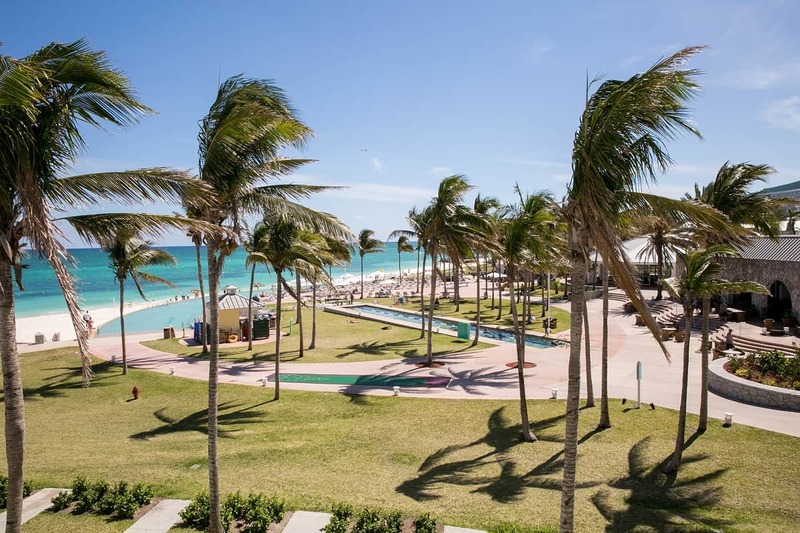 The beautiful views Grand Lucayan Beach and Golf Resort, Grand Bahama Island. 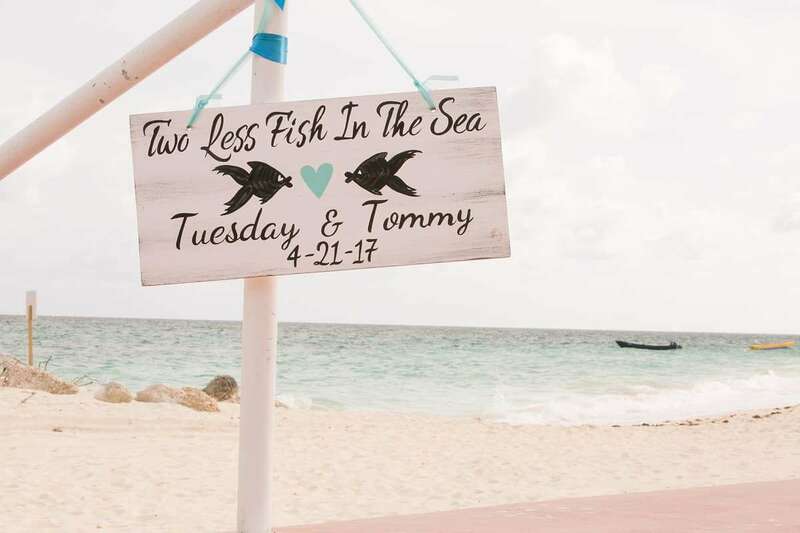 The crystal clear aquamarine ocean and swaying palm trees were the backdrops for the Tuesday and Tommy’s exchange of vows and reception dinner. 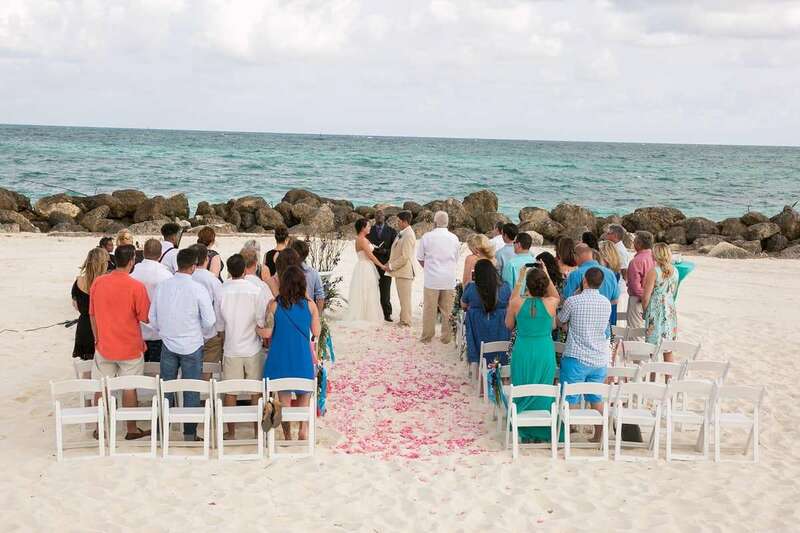 The late afternoon ceremony was held at Breakers Beach Friday, April 22. 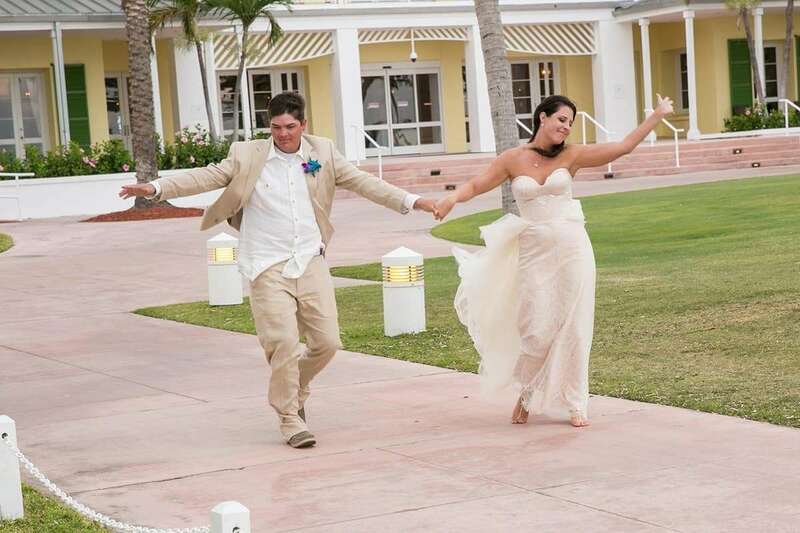 Bahamas Marriage Officer Brian Sands was the celebrant. Guests enjoyed a Cocktail Hour at The Fountain. 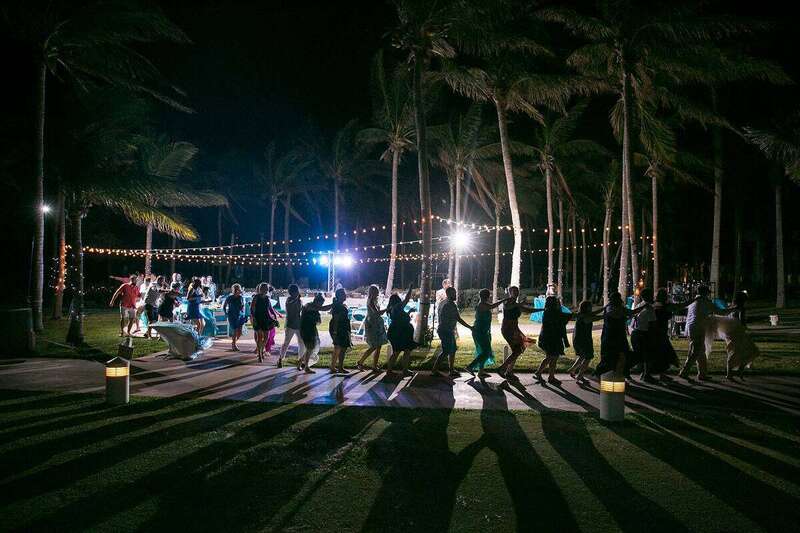 A reception dinner and dancing followed at the East Circle, Grand Lucayan. 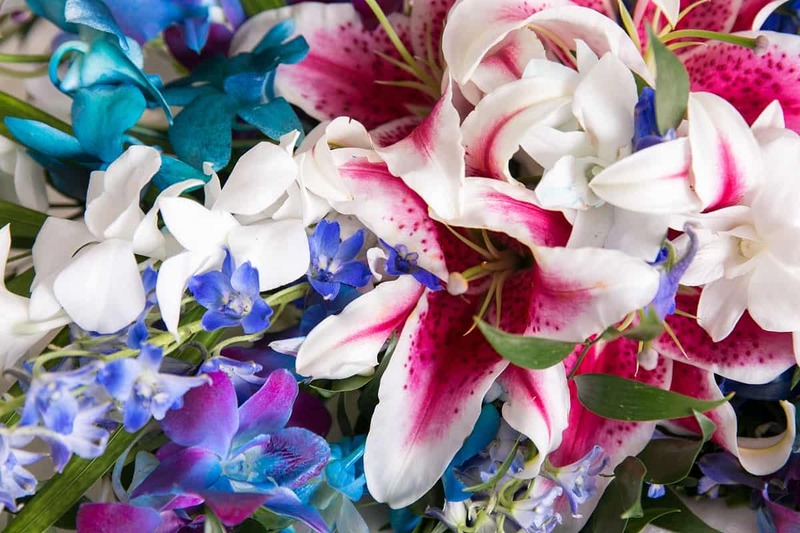 Tuesday and Tommy chose a color palette true to the locale … bold and tropical flowers were plentiful. Handmade signs added a personal touch to this low-key wedding on the beach. The bride and groom said their vows on the beach in front of their closest family and friends. First kiss! Our favorite part of any ceremony! 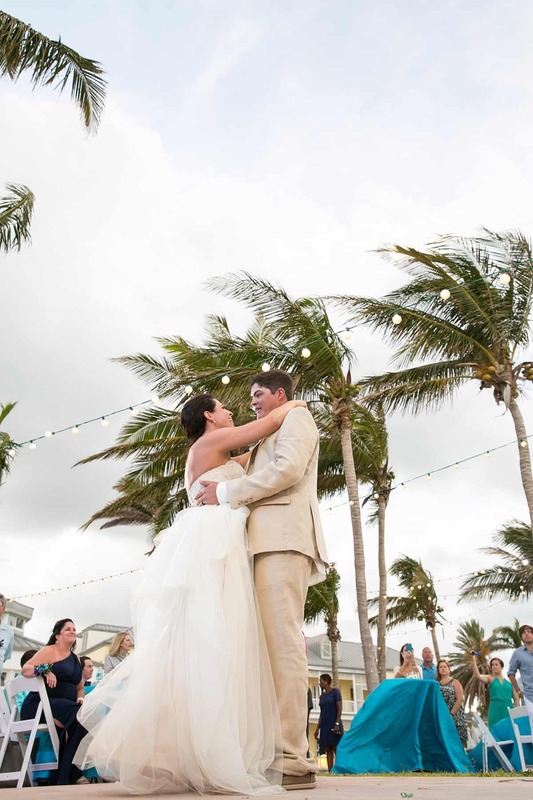 This fun-loving couple from Texas chose the Bahamas for their destination wedding because of its laid back vibe and stunning beauty. Here they are making their grand entrance at their outdoor reception! 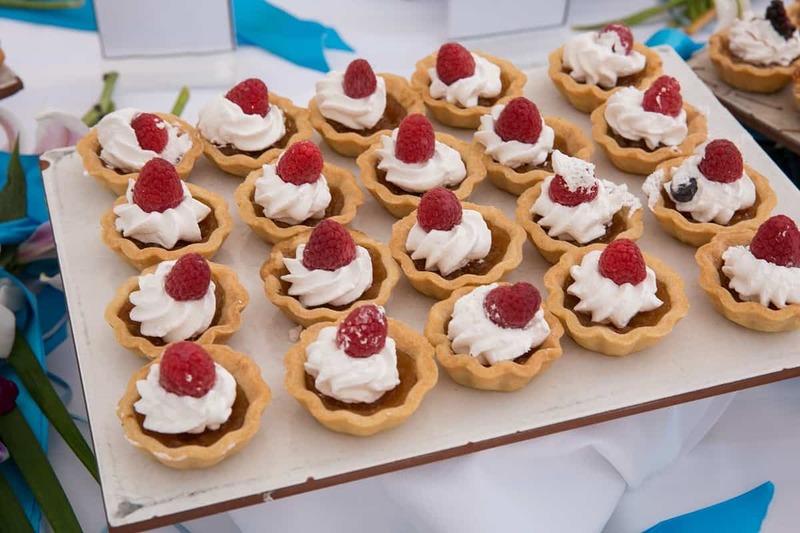 The real wedding in the Bahamas dessert buffet featured authentic Bahamian treats. It’s better in the Bahamas! The couple swayed with the breeze for their first dance as a married couple. Coop photo ops abound on our beautiful islands. 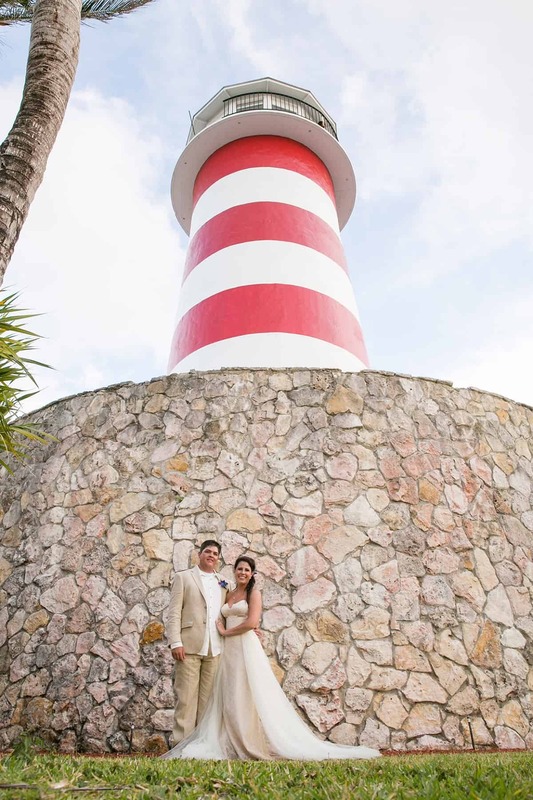 We love Lighthouse Point at Grand Lucayan Resort for shots with a nautical vibe. “… and they danced by the light of the moon.” What a fun wedding! Congrats to the newlyweds! 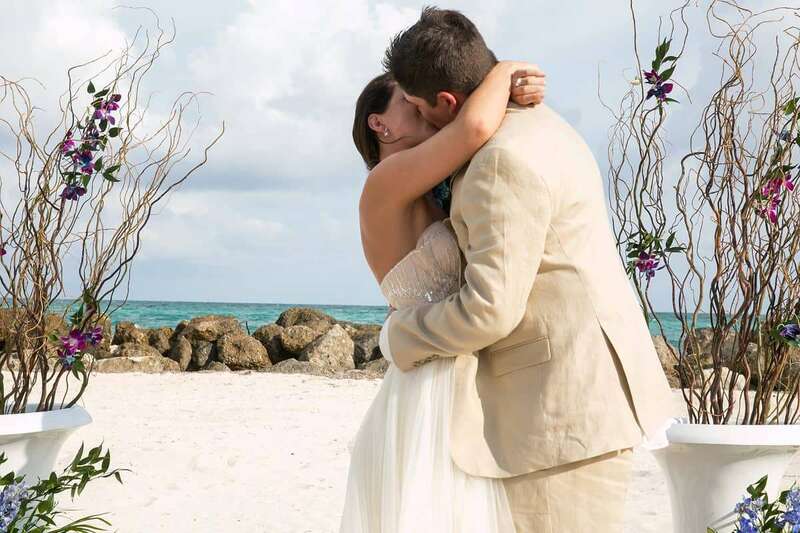 Chic Bahamas Weddings is delighted to plan your wedding in the Bahamas on any one of our 30 inhabited islands and cays. Contact us today to begin planning your Bahamas destination wedding. Photos courtesy of Peary Photography.